In this post, find a jQuery plugin called "Multiple Select" which allows to make/create/convert a simple dropdown list to multiple select/multi-select dropdown. 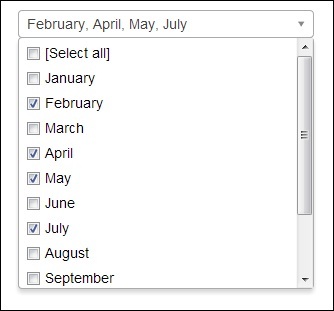 "Multiple Select" is a jQuery plugin to select multiple elements with checkboxes :). Default option allows to show checkbox. This plugin also provides events to disable and enable the dropdown element.